What is commonly referred to as misalliance, today as in the order of things, and at least a 10-year age gap between partners is even fashionable. In any case, there are a lot of couples with big age difference among the celebrities, and the wives and girlfriends look more like daughters or granddaughters of their rich partners. Take a look. Wedding of 55-year-old groom and 18-year-old bride in the summer of 2016 set off a firestorm of debate on the Internet not because of the age gap between them, but because of the small fact mentioned as if in passing: that the aging businessman and a young model had been together for 3 years. It means that Liza started having affair with Valentin at the age of 15. "Excellent material for the investigation of the prosecutor's office! " - wrote Russian presidential candidate Ksenia Sobchak. From that moment on "Botox grandpa" and "nymphet" were harassed by press and internet users. 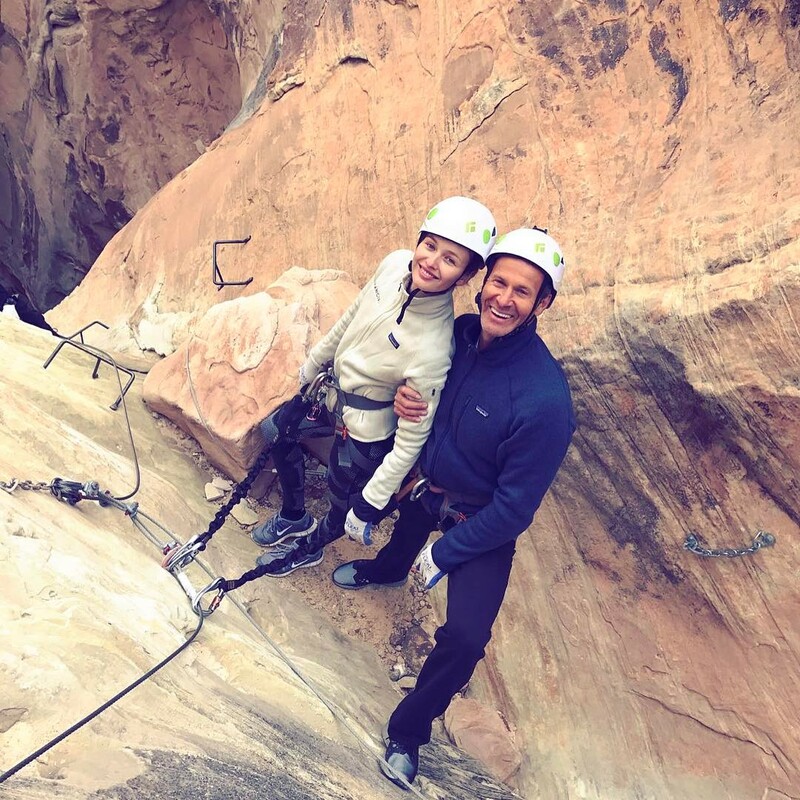 Millionaire's little wife seemed to add oil to the fire, showing off pictures of private planes, Courchevel, yachts, villas, super-expensive cars, and tons of shopping at luxury boutiques. (Now almost all of these photos are removed). As long as the couple enjoyed a scandalous life, press dished the dirt on their personal lives waiting for dramatic flair. Yellow press wrote about "shocking facts": "Liza cheated on her husband", "the husband beats his wife", "Ivanov said that she mentally ill", etc. Hackers broke Liza's Instagram, posting incriminating footage of her participation and malicious messages purportedly from the offended husband. Ivanov and Adamenko assured that they were fine. But by April 2017, only 10 months after the wedding, their "fairy tale" was over. 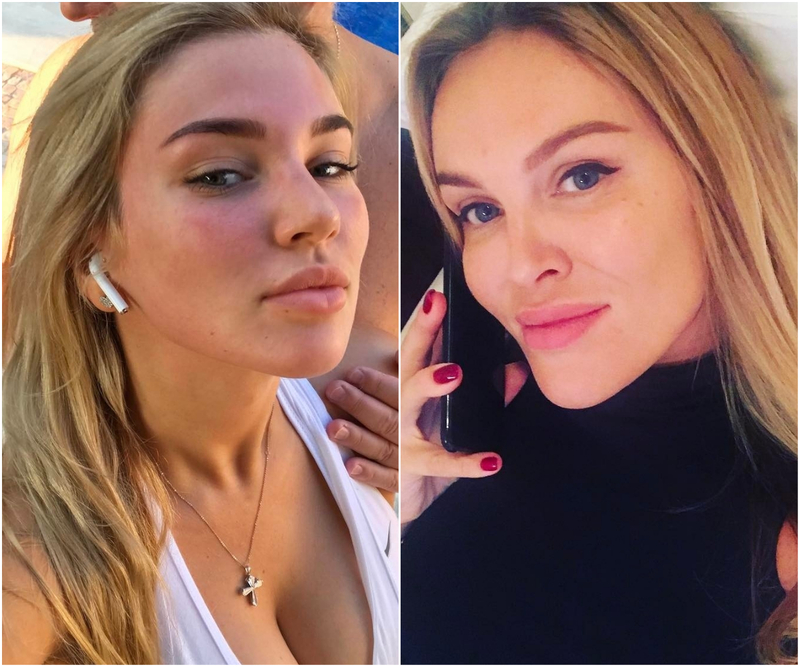 It is not known whether the divorce took place, but past summer Valentin spent in the company of his former girlfriend Alena Filinkova who is also model and too young - 32 years younger than Valentin. And they have a common 3-year-old daughter. Valentin Ivanov, by the way, is very interesting character. He is the son of a famous writer and children's author Albert Ivanov. 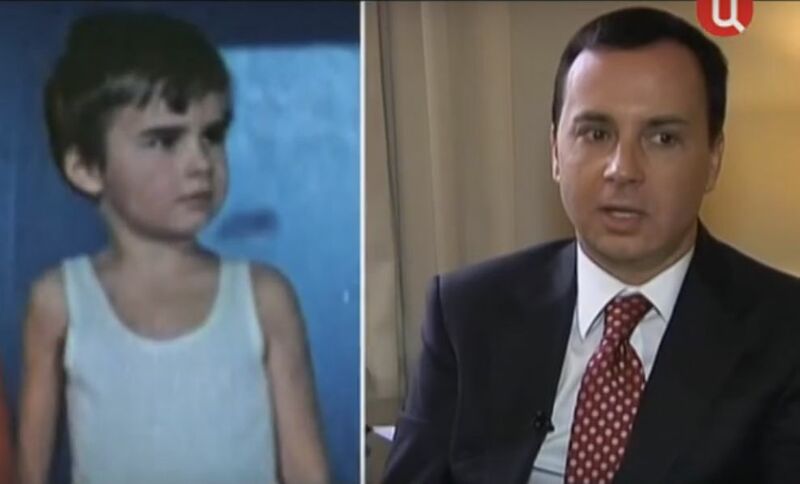 At the age of 8 Valentin played a cameo role in the famous small sporty comedy scripted "Seven elderly people and one girl," listed in the credits as Ivan Ivanov. Since then, he never again starred in films and became a businessman. Until 2012, Ivanov headed the Asian representative of "Lukoil" in Singapore, but is no longer associated with the company. He has traveled the world, living the typical life of luxury tycoon. He is engaged in music production, his team - graduates of "American Idol" Rita Dakota and Vlad Sokolovsky. Anatoly Danilitsky - singer "Slava"
Singer Slava (Anastasia Slanevskaya) was a young up-and-comer: at the age of 18 years gave birth to a child in a civil marriage with restaurateur Konstantin Morozov. Now her daughter Sasha is 18 years old, but before adulthood she began to live separately with the guy - both parents approved it and rented a flat for them. 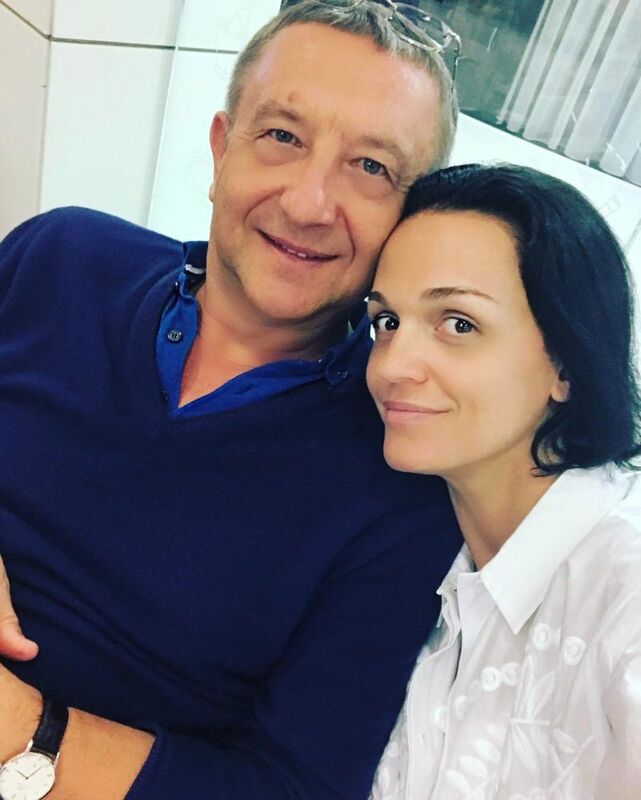 With the current civil husband, former general director of the National Reserve Corporation, and former co-owner of "Aeroflot", they were inseparable for 16 years and have a common daughter, but Anatoly Danilitsky is officially married woman another and is not going to get divorced. Moreover, he's not afraid of being affectionate in public. 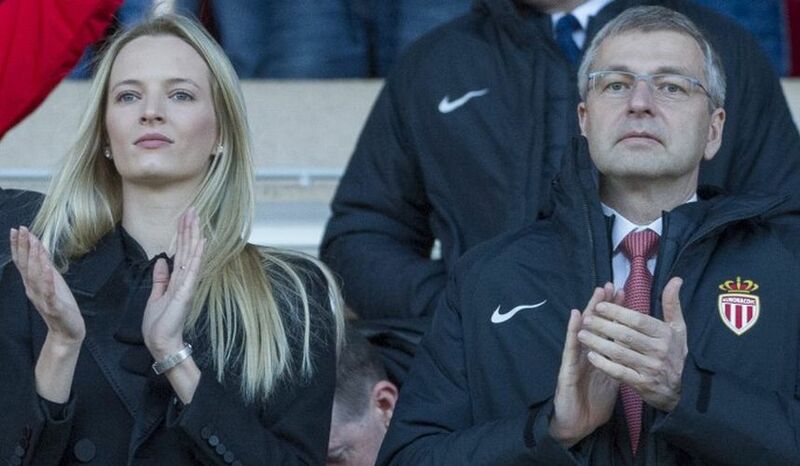 He could kiss another young and pretty ladies, for example, a granddaughter of Sergei Gorbachev. And Slava, in turn, could say, for example: "Of course, I really like Anatoly. But this does not mean that I do not have other men. " 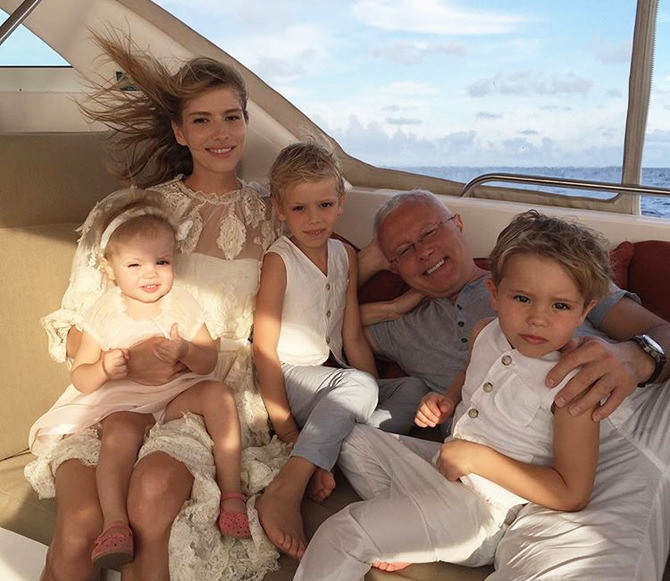 However, now they have a complete family idyll, whether the birth of a daughter changed everything, or it's old age: Anatoly - 65, Slava - 37. "My favorite and the only man in the world!" - wrote Slava in December 2016. In secular circles they are considered a perfect couple: cool businessman and leggy blonde, wealth, three children, family values ​​... But 15 years ago, their acquaintance began literally with prison. 16-year-old Perminova was living in his native Novosibirsk with the "bad guy" twice as old as herself, hanging out at nightclubs and once caught distributing. She was sure that she wouldn't have to go to jail, but spent the night in prison. Her father asked Lebedevor who was a deputy of the State Duma zero and actively promoted the law on witness protection for help. Alexander was hot for "Bad Girl" and launched a large-scale campaign in her defense. As a result, instead of harsh punishment for "illegal acquisition" Elena received a suspended sentence of 5 years' probation, but it was canceled prematurely. Now Tatler magazine writes about her: "Perminova has a nice calling - to decorate our lives. " Now the girl from Siberia lives the most luxurious life, has houses in Moscow and London, a castle in France and villa in Italy. "She just was not lucky at first, but was lucky - then. No wonder she calls Lebedev "my guardian angel", "- concludes glossy magazine. 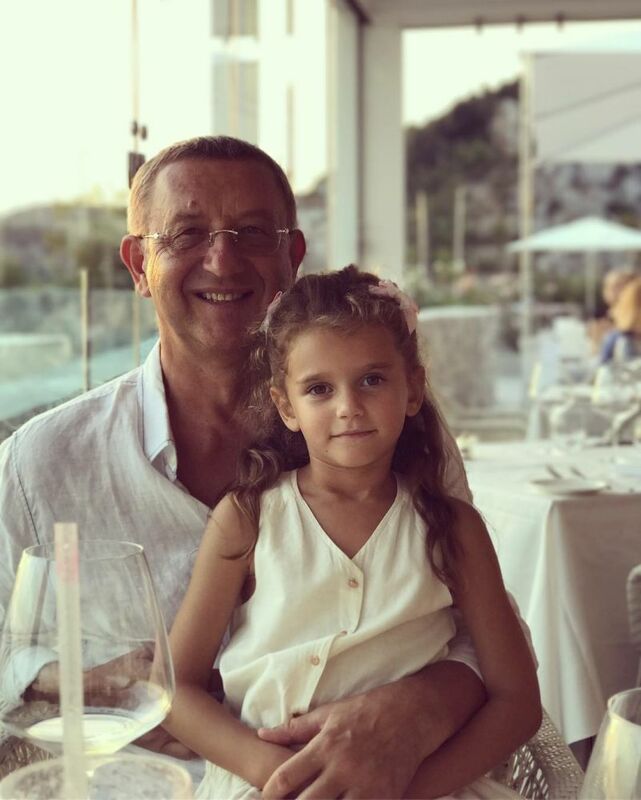 55-year old co-owner of "Capital Group" who broke Naomi Campbell's heart suddenly changed his taste and began to appear everywhere with the Russian fashion model Kristina Romanova who is a little older than his own daughter. The girl was 19 when a handsome billionaire noticed her. And at age 21 (in January 2016), she bore him a daughter. She shared picture below on Instagram with the caption: "True Love." In January 2017 glossy media boldly announced the impending wedding, showing off a giant diamond on Kristina's ring finger. But judging by the old pictures, Kristina has been wearing the ring for couple of years, so that she may continue to remain only a "bride". Recently Kristina posted a joint picture on Instagram. 49-year-old co-owner of "RESO-Garantia" also started a child with a woman half his age himself. And, according to many, she is indistinguishable from his former common-law wife Julia Lyubichanskaya, although she is 10 years older. Compare for yourself: Ilona left, Julia right. 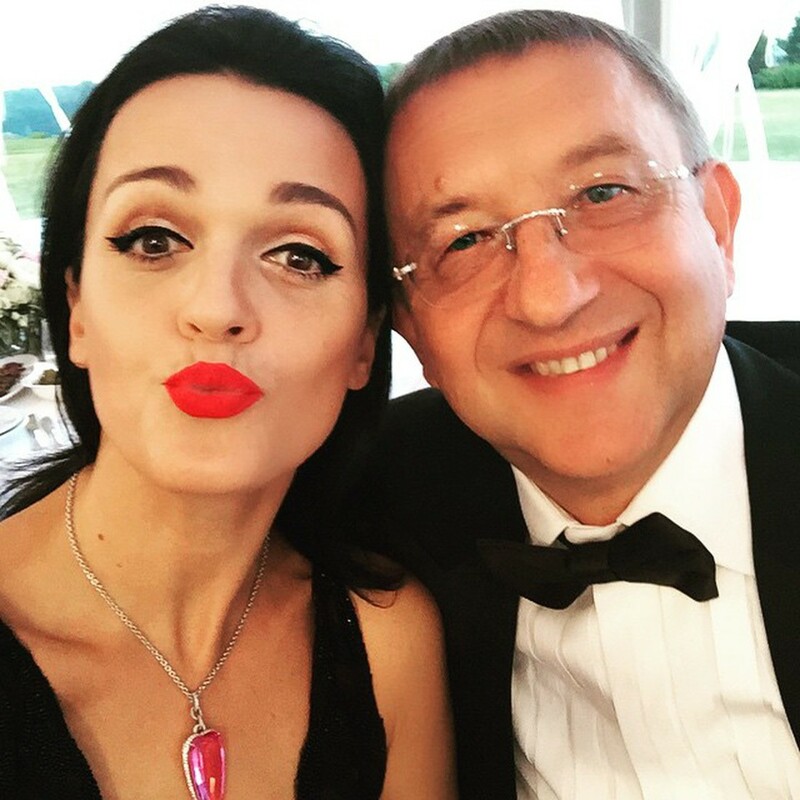 The media found a lot of Ilona's "racy" photos before she met the oligarch: in the pictures she is seen in the arms of various men and kissing with a girl. Whatever it was, now 25-year-old blonde fit into the role of wife and diligently shares photos of the vast estates of the rich interiors, expensive cars, yachts and private jets. And, of course, pictures with her respectable husband. By the way, their common year-old son - the sixth child of Sarkisov, who has two grown-up sons from his first marriage and three children of school age from Julia. In March Lyubichanskaya complained that he became interested in the new "mistress". And in July, the media wrote that he began to sue for the children. But judging by the fact that they remain with the mother, the matter was settled peacefully. 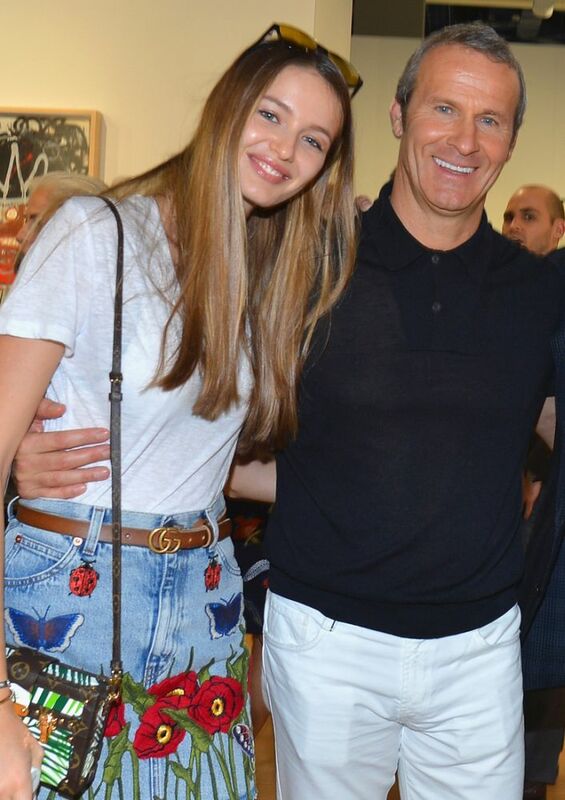 Another well-known collector of blondes, a permanent member of the Russian G-20, "Forbes" and a resident of Monaco, was spotted in the company of 26-year-old Russian top model. According to the information of Tatler, he introduced her to his close friend, Prince of Monaco, as his fiancée. 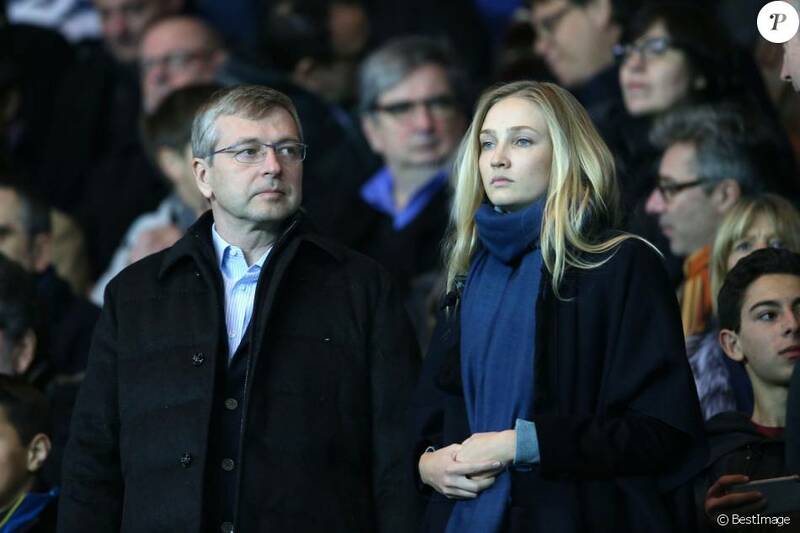 The couple was spotted at the matches of the football club "Monaco", which is owned by the oligarch. Daria was among the famous guests of Cannes Film Festival and walked down the red carpet. Since then, we know nothing about their relationship, Daria does not give any hints on social networks. And journalists remembered other recent girlfriends of investor and, sometimes, confused in the names and faces - these blonde models are so similar, it's hard to tell them apart. Before Daria Rybolovlev dated Anna Barsukova, which left model business to sell fresh juices for 150 euros in the guise of powerful detox diets. And before Anna the businessman had a short-lived relationship with 20-year-old supermodel Tatiana Diaghileva. By the way, according to billionaire, she "did not have the luster of money in the eyes, and the business process in the brain." Not surprisingly, the affair with the young beauty, which had no financial motivation, ended more quickly than others.